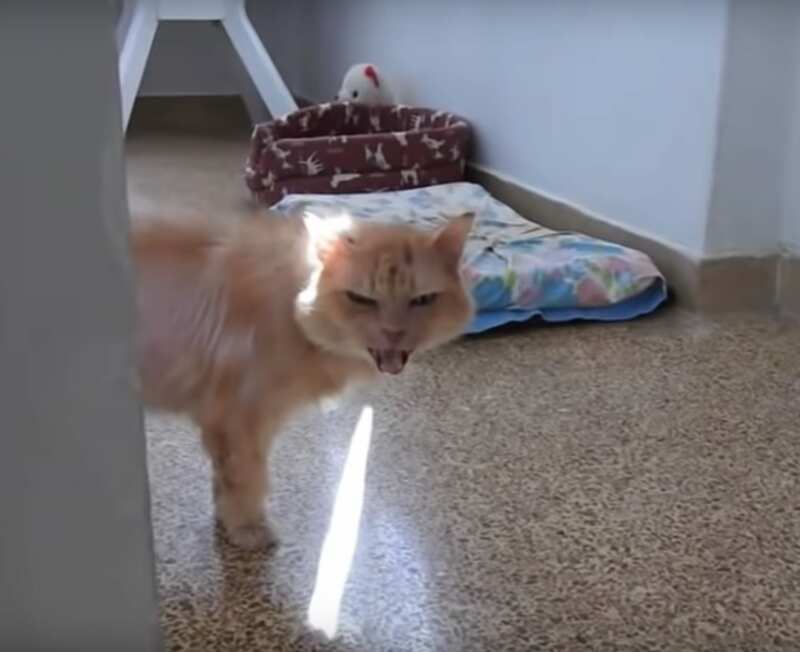 Cinnamon was one of the angriest pets to ever end up in their foster care, according to The Orphan Pet who shared their touching story about the cat on YouTube. 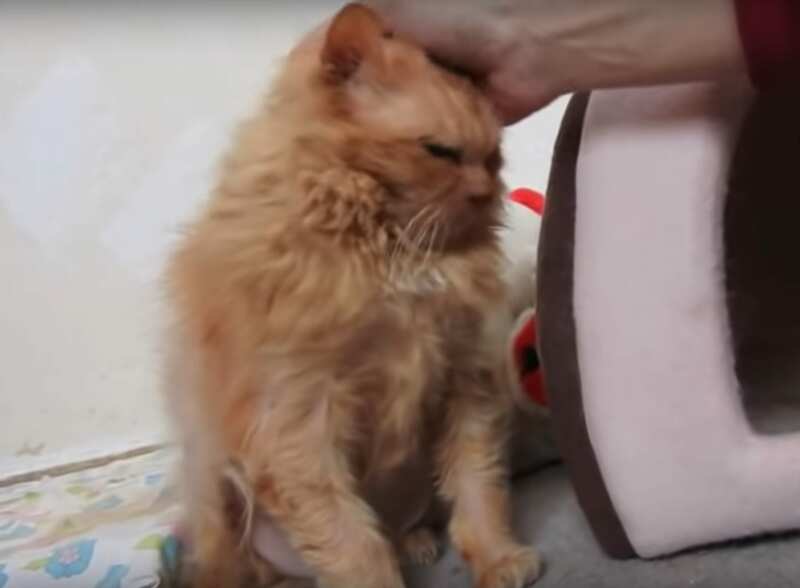 At 17, Cinnamon had spent her entire life at home, but after her two elderly owners both passed away in short succession, she was left in the care of relatives. Unfortunately, the relatives wanted nothing to do with her, and would often chase her around with sticks, abuse, and beat her. Eventually, she was no longer welcome in her own home and was abandoned to fend for herself. The Orphan Pet took her in. The first several months were very rough. All they could do was enter her room, put food on her plate, clean the area as much as possible, and leave. She would hide in the corner and avoid them as much as possible, giving them looks of pure hatred. As the months passed, they gave Cinnamon the space she needed but continued to show her love, taking baby steps in an attempt to get her to trust humans again. Sometimes they would try sitting on the chair next to her, but after a few seconds she would leave and go to the other side of the room again. If all that had already happened to her wasn’t enough, they soon found out that Cinnamon also had pancreatic cancer. According to the vets, her days were numbered, but months went by and she still survived. In time, slowly but surely Cinnamon began to feel comfortable with people again. 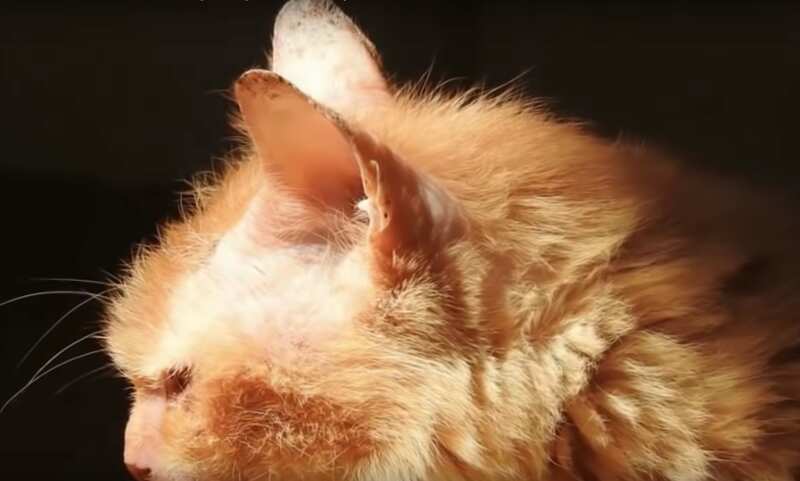 Cinnamon began to lose her fur, and would spend most of her days sitting in front of the window, soaking up the rays of the sun, letting the warmth soothe her suffering body. They would leave toys for her piled up near her bed, hoping that she would play with them, and eventually much to their surprise, she did. She also slowly began to trust one of the people who worked there, Katy, the oldest volunteer at the foster care. The volunteers cared about her so much, and with time, the need to touch Cinnamon became ever more intense. One day, The Orphan Pet sat next to her as they always did, reached out to pet her, and a small miracle happened — Cinnamon allowed it. Cinnamon had survived so much, and finally was able to feel safe and loved again. 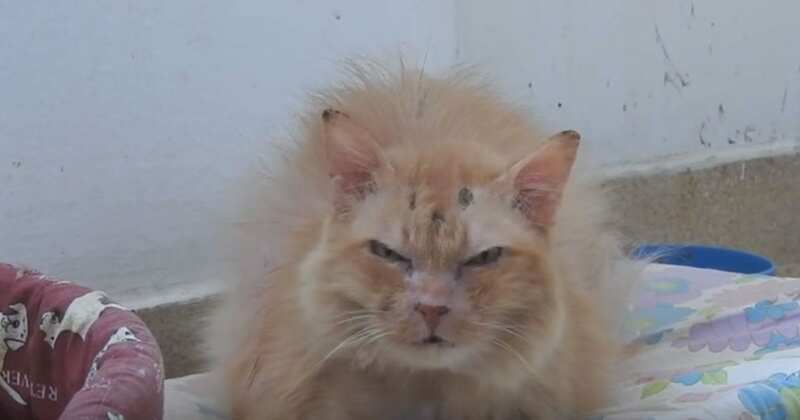 Although no one knew how much time she had left, Cinnamon could now purr happily, relax, and spend her last days living in peace.